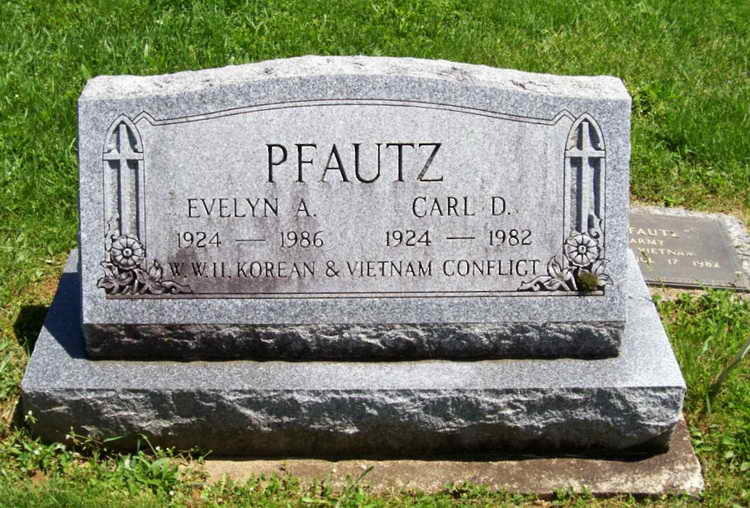 Grave markers for Carl D. Pfautz in the 1918 Cemetery, Section C, lot 157 of the Moravian Cemetery*, Lititz (Lancaster county), Pennsylvania. 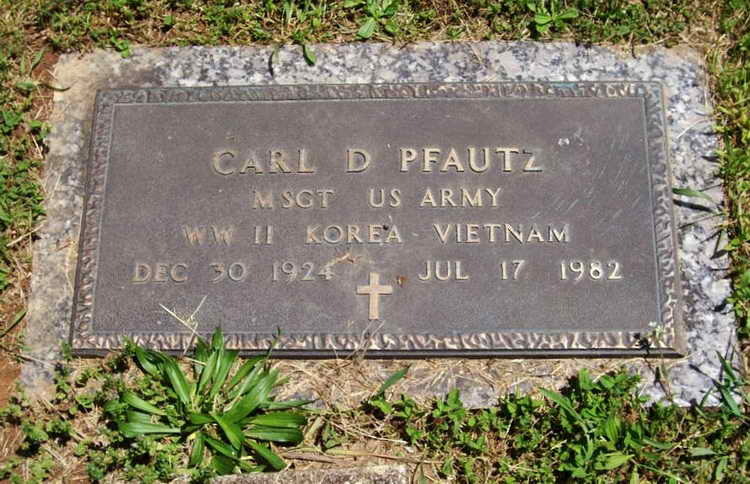 Carl enlisted at Harrisburg, PA on 13 January 1943 and was initially attached to the 508th band in Camp Blanding. He was permanently assigned on 3 March 1943 and remained in the band throughout WWII. He remained in the Army with his last re-enlistment on 16 February 1970. He was discharged on 21 June 1971 with the rank of Master Sergeant..